Payment Protection Insurance (PPI) plans have been mis-sold by many high-street banks, mortgage lenders and credit card suppliers for a number of years now. If you have taken out a personal loan, credit card or mortgage in the last 10 years you may be eligible to make a PPI claim. After being reprimanded by the Financial Services Authority (FSA) and having rulings made against them by the British courts, many high street-banks have been setting aside large amounts of money in order to pay out compensation claims made by customers. Banks have also been hiring a large number of staff in order to organise the process of paying out compensation to those filing PPI reclaim paperwork. For customers who have been mis-sold Payment Protection Insurance it is a great time to launch a claim for compensation. Since the ruling against the way in which PPI had been sold by many major banks, in April 2011, professional experts, such as Payment Protection Partnership, have been helping those in need to recoup the expenses they have lost on PPI schemes. Many customers who have been mis-sold PPI are not even aware that they may have been paying out extra for an insurance plan that was neither compulsory nor always necessary. Yet the process of reclaiming compensation can often be a complicated and confusing trail of paperwork and communication with your high-street bank. Fortunately, companies such as Payment Protection Partners are available to offer a helping hand. If you find yourself needing more help with your claim, a face-to-face meeting can often be arranged with a local expert, removing the complications that can occur over the phone. However, it is important to remember that many customers are not sure whether they have been sold a payment protection insurance plan or not. Consequently, it is a wise decision to check through the details of any lending contracts or paperwork that you have collected in the last 10 years. 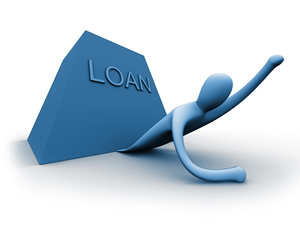 Alternatively, your bank may have retained the information concerning your loan, in which case a company of professional experts will be able to aid you in making your claim. If you didn’t ask for PPI, but it was added to policy regardless, or if you were told that adding PPI was compulsory, you may be entitled to compensation and should look into making a claim. Similarly, if you were not aware payment protection was optional, or were unemployed, retired or self-employed at the time the protection was taken out, you may be eligible for compensation. Considering the amount of money you may receive in compensation, it is well worth taking the time to contact experts and see what your options are. Direct Debit, Standing Order or Continuous Payment Authortiy – What’s The Difference? Which Bank Account is Right For You?